So Seattle Seawolves are coming to play the Island rep team, Crimson Tide on December 22nd. The Seawolves of course won the inaugural MLR and have a few BC players including the coach/player Phil Mack. It's a preseason match as the MLR prepares for season 2 with an anticipated late January start date this year. The game will be held at Westhills Stadium, kickoff at 4pm, and tickets are already available online at Ticket Rocket. Online tickets are $15, they'll be $20 at the gate on game day. Seattle have started announcing their re-signings and it looks like many of the championship team will be returning. Even though they won the championship with Phil Mack as player/coach, they've signed a new coach this year, presumably leaving Phil to concentrate of the role of scrum half and perhaps assistant coach. The new coach is Anton Moolman, previously the Director of Rugby for the Western Province Rugby Academy in South Africa. The composition of the Tide team will be interesting and the Canadian national team repechage results in November may have some impact on player availability. Couple that with the likelihood of some Island based players signing on with MLR teams between now and December and it's wait and see on which Island players will be available for selection and how strong a team they'll be able to put out against the Seawolves. It's a prime opportunity for Island based players to put their hand up, not only to get seen by national selectors but the Seawolves and other MLR teams will still be looking to complete their rosters. The game will be streamed live so will have a good distribution across the globe. 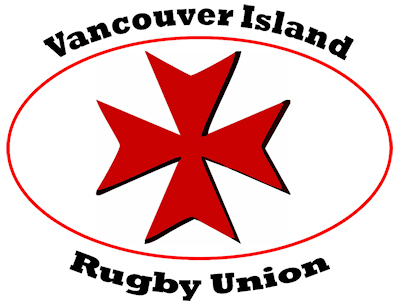 The Tide coaches are Aaron Frisby and Sean White but expect a collaborative effort from interested coaches from many Island clubs including Scott Manning and Ken Goodland from CW, Nanyak Dala from Westshore, Tony Healy from JBAA, Simon Fitzgerald from Nanaimo. For those thinking weather is an issue we did some data analysis and dug up the weather for the past 17 years (below) and can report the average temperature for the day was about 8 C or 46 F with only 3 of the 17 years showing significant precipitation. We'll have more as the date grows closer.